There’s so much you can learn about birds and how to birdwatch while staying warm and snug indoors. From time to time I run indoor courses which enable you to learn about birds and make use of those dark, winter evenings. These courses run in 6-8 weekly blocks and last for 2 hours per week. Courses are held at Hollybush Conservation Centre, Kirkstall, Leeds and run from 7pm to 9pm. They usually begin in the first week of September and the group has the option to continue indoors until April. Classes then continue outdoors to August. Join an indoor course and discover a bird’s story; where individual species go, where they breed and how they travel long distances. Learn how and why they sing and what happens after the breeding season. You’ll also learn how to plan your own trips and how to read a landscape so that you will know which birds to expect. You’ll know more about binoculars and how to choose the right field guide for you. Birding in safety and comfort. Further courses take the subject to another level, looking at how birds adapt to their environment, migration and how weather can have an effect on the movement of birds. 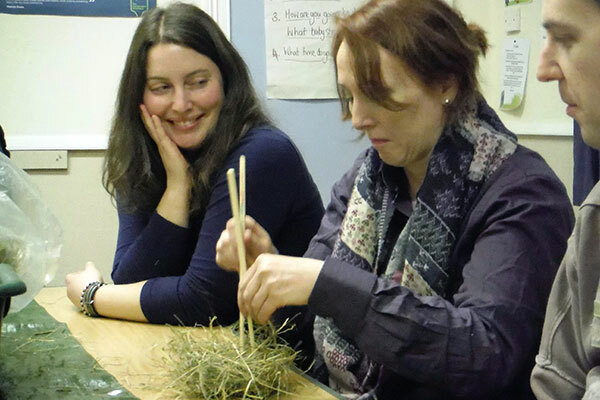 Indoor classes are held at Hollybush Conservation Centre, Kirkstall, Leeds. Binoculars are available on request. Only bring binoculars if you have them already. You don’t need to buy any especially for the class. As part of your first session, you will be given some useful information about binoculars. This will enable you to make an informed choice when you do decide to buy and prevent you from making an expensive mistake. Group classes run throughout the year – available from 2 hours to a full day. Treat someone to a one-to-one birdwatching session from as little as £40 (2hrs). Alternatively, pay for someone to attend a group walk – prices start at £15.